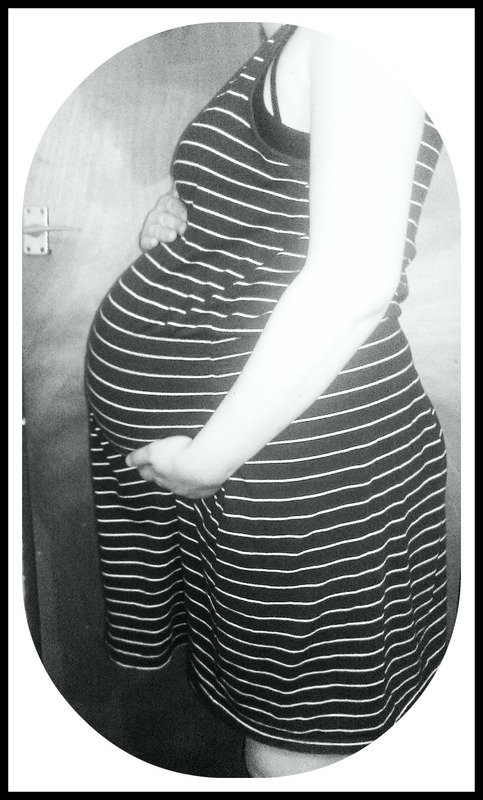 Seeing as Mr or Mrs Bump is being vacated in the very near future thanks to an induction, I thought I’d post my last gratuitous bump picture. I haven’t been the greatest at taking pictures of my ever-changing body, and have been frantically taking pictures recently so I have some actual memories of my pregnancy. I think I’m going to miss lugging that big old lump around, you know. Well as we finally hit week 40, baby should be making an appearance soon! Baby is now full term! As this post is scheduled due to my due date being the 24th, I have no clue of whether I have given birth or not (if you’re interested, check my Twitter for updates!) so I could be having a sweep or induction anytime soon if the baby isn’t here! I’m going to miss writing these pregnancy update posts, but I now have plenty of baby updates to look forward to! Would you be interested in these? By the time you read this, I’ll be onto week 39 and I’ll actually be two days before my due date. Anything could have happened in the time since I’ve written this to when it gets posted… if you’re interested to know how I’m getting on, check my Twitter here. Now I’m at week 38, what exactly is happening with ﻿my baby in the final few weeks? My baby is ready to meet the world, although still building a layer of fat to help control body temperature after birth. All my baby’s organs are fully developed, the lungs being the last to reach maturity. I’m apparently meant to be suffering with feeling huge and uncomfortable in these final weeks – this is definitely true! I should have discussed pain relief and my birth plan with my community midwife – this has also been done. Not much happening now really, is there? Seems just like a waiting game to me! Now that it’s all so near, I can’t wait to meet them – although the prospect of me being a mother is still quite daunting in itself. However, I have a great support network – having such a large family certainly helps. I’ve also got friends with childrens, friends who’ve not only had children but work as or have worked as midwives, friends who are nursery nurses, friends who have plenty of experience with children. I also know that there’s a few bloggers that I can ask for advice if needs be, too. Not much left to say, except…wish me luck! Finally in the home stretch. Only three weeks left to go until the little one makes his or her arrival into the big, wide world. It’s quite daunting, really, to think of it – how fast this has all come around. I am looking forward to being able to buy gender specific baby clothes so much – I keep fawning over cute little dresses or little three-quarter length shorts and it’s agony not being able to buy them! As you may know if you read my most recent Like, Love, Loathe post, my baby finally turned around and is no longer breech! 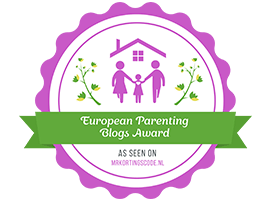 You have no idea how happy I am – I was really dreading the prospect of having the procedure to maneouvre the baby if he or she had remained in the breech position. I spent the shortest amount of time that I ever have during my pregnancy at my last scan – once they’d found out it had turned around, I had a little chat with the consultant and was sent on my way – it was definitely a relief not to be waiting around for hours for once! 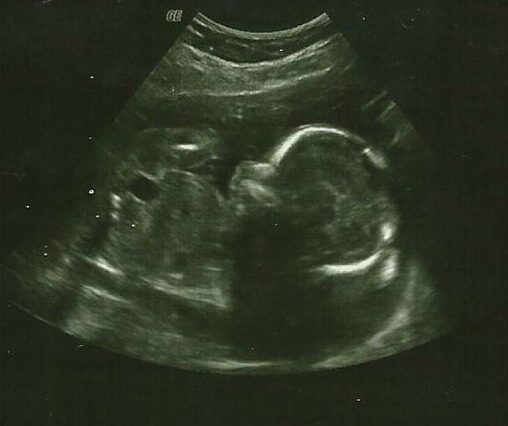 Little one has grown so much since this above scan was taken – and is apparently now going to spend the last couple of weeks putting on weight. should weigh close to 2.8kg and be about 48.6cm long from head to toe. As soon as I got home from hospital the other day, I wrote my birth plan (I had been advised to leave it late in case the baby did turn around; thankfully I did leave it otherwise I’d have had to rewrite my birth plan anyway). I detailed everything that I wanted – I’m hoping to deliver in the midwifery led unit with little or no pain relief – however, if pain relief is needed (which I think it will be! ), I am opting for pethidine. Epidurals are not available in the midwifery led unit, so unless the pethidine doesn’t work, I won’t be having an epidural. If I do decide I want one, I shall have to be transferred to the main delivery unit. The one thing I really need to do is pack my hospital bag; I keep leaving it and leaving it. I don’t want anyone to be rushing around in a panic, trying to pack it for me if I suddenly go into labour – so I suppose I’d better crack on – help motivate me! If you see me on Twitter, nag me and make sure I’ve done it! It’s scary thinking how close it is, to be honest. He or she is going to be the best little thing to ever happen to me.